The high number of dengue cases in many states around the country has grabbed headlines as the national tally of cases this year is nearly twice the number recorded during the same period last year. While the burden of this disease is higher in southern states, the outbreak in Delhi is being seen as the result of poor preparedness on part of the administration. The rapid progression of the disease has taken many by surprise as the high incidence is unseasonal compared to earlier trends. The dengue virus usually strikes the city only after the end of the monsoons in October. The reason for the temporal shift, say experts, is the erratic weather and rainfall that the country has witnessed this year. Many scientific studies in the recent past have drawn connections between weather variables and the incidence of dengue. Many scientists are in agreement that a combination of higher mean temperature in a region and high humidity fosters higher rates of dengue transmission and incidence. A C Dhariwal, director of National Vector Borne Disease Control Programme (NVBDCP), agrees with the correlation cited in the studies but adds that the prime reason for the unseasonal susceptibility of the country to multiple dengue outbreaks this year has been the unusual monsoon. 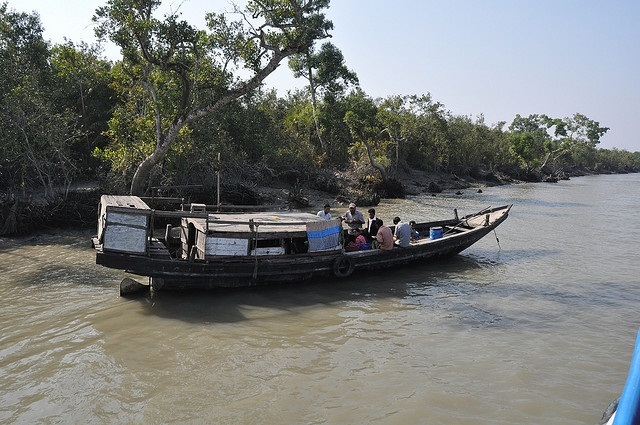 The monsoon season was characterised by intense wet spells followed by long dry spells. "Usually when it rains, the rainwater flushes away stagnant pools that act as sites for mosquito breeding. This year, we saw rainfall early in the season which was followed by long dry spells during which there has been high humidity, especially in Delhi. This has enabled a shift from the usual trend of dengue transmission that we have observed and the virus has struck parts of the country earlier than usual," he says. The dengue epidemic in the national capital is making national and international headlines. As many as 15 people have died and over 1,900 have been affected from dengue in Delhi so far. Initial media reports have blamed the high-handedness of doctors, with at least two deaths (that of young boys Avinash and Aman) being caused because they were turned away by hospitals they went to. Many accounts have also blamed the city’s creaky health infrastructure, which has not been able to adjust to the flood of patients. Down To Earth visited several hospitals in Delhi to find out about the ground situation. Our ground check shows that the stories about the high-handedness of doctors are true in that patients are visiting smaller, mostly private doctors and hospitals, who treat them for a few days and then send them to bigger, usually state-run hospitals. Also, the government hospitals are getting overburdened, being forced to accommodate more than one patient on a bed. And far from complaining, the patients and their relatives are in fact, satisfied that they have been attended to. For instance, take the case of Balwant Ram from Gurgaon. His wife, 40-year-old Vimal Devi spent four days in Metro Life Line Hospital in her locality. Nearly Rs 12,000 was spent on her treatment. But, her condition continued to deteriorate. Balwant Ram then rushed her to the All India Institute of Medical Sciences (AIIMS), where his wife is now being treated and said to be normal. Like Ram, Shafique Ahmad too struggled to get proper treatment for his 12-year-old daughter Shahana. A resident of Raju Park in South Delhi’s Deoli neighbourhood, he went to a local government dispensary four days ago when his daughter complained of fever. The doctor there gave him some medicine and told him to go somewhere else. He then took his daughter to a private doctor for four days. When her condition worsened, he rushed her to AIIMS. Narendra Kumar, a resident of Badarpur, took his mother, who had been diagnosed with dengue, to a number of places, before finally turning to Safdarjung Hospital She is sharing a bed in the hospital with another woman. Narendra Kumar says he is feeling relaxed now that his mother is admitted. Experts offered their piece of advice on how to tackle the crisis. “If you get fever, don’t panic. Immediately report to the doctor,” said Anil K Rai, Medical Superintendent of Safdarjung Hospital and Vardhman Mahavir Medical College. He added that the best treatment for the disease was hydration. The city and Central governments have both sprung into action since the deaths of the two boys. The Delhi government has asked state run hospitals to increase the number of beds by 1,000 by Sunday. Even private hospitals have been asked to buy more beds and hire more doctors, nurses and paramedics. The Central government has organised a meeting with all stakeholders including senior officials of the ministry and heads of central government hospitals to review the situation on Tuesday. Union Minister for Health and Family Welfare, J P Nadda has informed that there has been a decrease in the number of dengue cases detected at national level. He cited the data of three years including 75,808 cases in 2013, 40,571 cases in 2014 and nearly 21,000 cases in 2015 up to the second week of September. However, this is not the case in Delhi which has seen a sharp increase in dengue cases this year, compared to last year. While the number of cases detected in Delhi last year was 995, the number detected this year, up to the second week of September was 1,872. Concerned the sharp surge in dengue cases, the Delhi High Court on Thursday asked the Centre, the state government and civic bodies to explain the steps being taken to check the crisis. 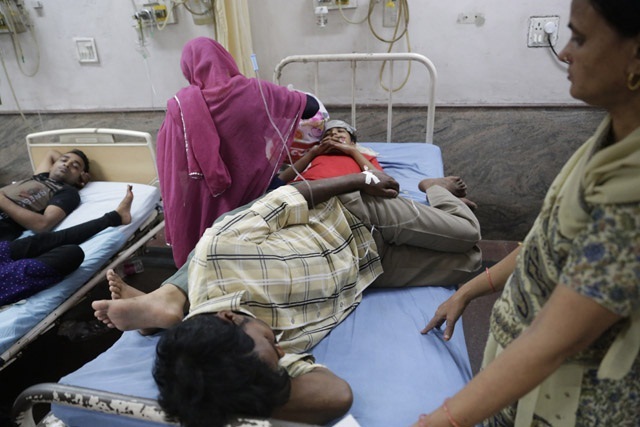 Delhi may be facing one of its worst outbreaks of dengue in five years. Until Wednesday, around 1,900 people had contracted the mosquito-borne fever and 14 people had died of the disease. Hospitals across the city are facing a steady influx of patients with minor to severe symptoms. Government-run hospitals are facing most of the brunt but have responded by initiating treatment for patients even as they sit in waiting rooms or camp in the corridors. In consecutive orders issued by the Directorate of Health Services, Delhi government has asked all hospitals in the National Capital Territory, both government and private, to increase the number of beds to admit and treat dengue patients. The order issued on September 12 states that patients suffering from dengue fever are to be admitted on priority and no such patient should be denied admission. It also asked hospitals to defer elective surgeries if necessary to make space for dengue patients. In a Cabinet meeting on Tuesday, Delhi Chief Minister Arvind Kejriwal discussed ways to ensure that private hospitals do not refuse to admit dengue patients. This meeting was convened following the death of two children after the city’s leading private hospitals refused to admit them. The government has also directed private hospitals to cap the rates of diagnostic tests, with Rs 50 for the platelet count test and Rs 600 for the Elisa-based NS1-antigen and dengue antibody tests. As part of preparations to curtail the spread of the disease, Delhi health minister, Satyender Jain, directed the commissioners of the three municipal corporations of the city to ensure that civic health workers reach every home to disinfect standing water and carry out fumigation drives in residential and commercial areas. He also asked them to strengthen awareness campaigns to inform citizens about the disease. 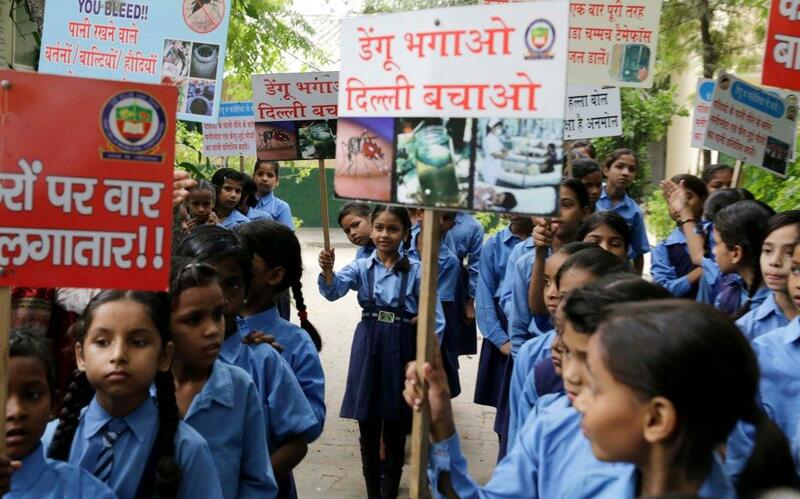 Media reports say that of the four strains of dengue, Delhi is seeing the emergence of serotype four for the first time, along with serotype two. Both strains are dangerous. In neighbouring Ghaziabad in Uttar Pradesh, the number of dengue cases has crossed 60 while Noida's official case tally stands at 74. However, newspapers say that more than 900 cases have been reported in the industrial suburb. Nearly 200 cases have been detected in cyber city Gurgaon in Haryana. According to the Union Ministry of Health and Family Welfare, nearly 21,000 cases of dengue had been reported from all states until mid-September 2015. Until September 16, Karnataka government had reported 3,655 cases and four deaths. A third of these cases were reported from Bangalore city, followed by a large number of cases from Dakshina Kannada, Udupi, Mysuru, Kolar and Ballari districts. Until September 15, Kerala had 3,012 confirmed cases of dengue with Thiruvananthapuram, Kozhikode and Kasargode among the worst affected districts. Kerala has also reported the highest number of deaths due to dengue at 19. 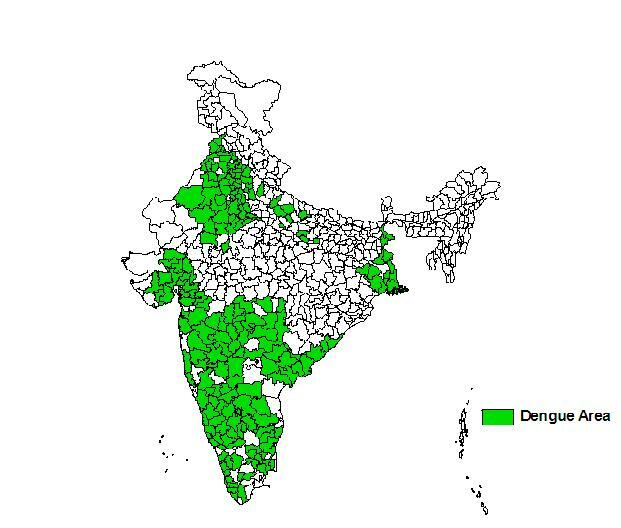 Until August 2015, Tamil Nadu had reported 2,228 confirmed cases of dengue. Other states which have reported a high number of cases are Andhra Pradesh, Arunachal Pradesh, Telangana, Gujarat and Maharashtra. The Delhi government will have to pull up its socks, as experts believe that the prevailing dengue will spread further. According to experts, this year though the dengue strain is new, it is not dangerous. The present dengue outbreak is that of dengue 4 as against the outbreak in 2013 where Type 2 was prevalent, said representatives of the Indian Medical Association (IMA), Association of Healthcare Providers of India (AHPI) and other organisations. Out of the four types of dengue strains, which exist in our country, type 2 and type 4 are more likely to cause capillary leakage, they said. Type 2 is considered to be more dangerous than type 4 dengue. Experts predicted that a large number of dengue cases are expected to occur and will continue to occur for the next one month. The maximum number of dengue cases is witnessed between September 15 and October 15. Quoting WHO data, experts told Down To Earth that each year around 39 lakh people develop dengue out of which five lakh develop severe dengue, resulting in 25,000 deaths. More than 80 per cent of patients are treated in the private healthcare sector. Dengue can be classified as dengue fever and severe dengue. A person is said to be suffering from severe dengue when there is capillary leakage. Patients, who have dengue fever, do not have capillary leakage. Shafiq Ahmed sits outside AIIMS hospital in Delhi where his 12-year-old daughter, Sahana, is admitted in the Intensive Care Unit. They spent four days consulting private doctors but their daughter showed no signs of recovery. She was brought to AIIMS on Wednesday when her situation worsened. Ahmed complains that if doctors had advised him to take her to hospital a little earlier, Sahana wouldn't have been in a serious condition. 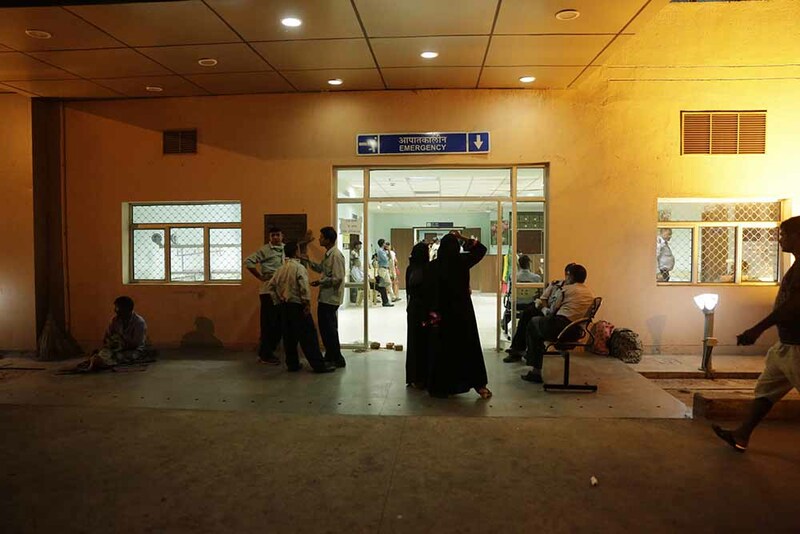 At Safdarjung hospital in Delhi, wards, corridors and waiting rooms are overcrowded. Patients are waiting to be allotted a bed. But doctors are working overtime and have initiated treatment irrespective of whether patients have been given a bed or not. Patients are being brought directly to the emergency ward of the hospital. A sense of chaos reigns in different wards as relatives of patients vie for the doctors' attention. After receiving the minimum necessary treatment, patients are being transferred to different wards based on the situation. Renu Devi (the woman in sari) is from Badarpur in Delhi. She was admitted in a serious condition after the doctors in her neighbourhood failed to provide the right treatment. The family spent around Rs 10,000 in fees to these doctors. Meanwhile, patients share beds due to overcrowding. Government hospitals have been directed by Delhi government to not refuse a single dengue patient under any situation whatsover. Experts say this year’s monsoon pattern has aided the surge in dengue cases. “Dengue and its spread are directly related to humidity and temperature. Mosquitoes that cause dengue need fair amount of humidity and a temperature hovering around 30°C,” says B N Nagpal, scientist at the National Institute of Malaria Research in Delhi, an institute under the Indian Council of Medical Research. Atul Gogia, an internal medicine specialist at Sir Gangaram Hospital, Delhi, agrees with Nagpal. “Every year, it rains from June to September, and therefore we see a surge in dengue cases around October. But the number of cases decline as soon as humidity decreases. This year, it rained in June and since then it has been humid, helping larvae to grow,” says Gogia. A study published in journal PLOS Neglected Tropical Diseases in 2013 shows the impact of temperature and precipitation on dengue in Mexico. After analysing 23 years of data—from 1985 to 2007—the authors found that the minimum and maximum temperatures that aid in the breeding of dengue mosquitoes. Dengue showed almost zero risk below 5°C; a modest increasing risk above this temperature; and a rapidly increasing risk when average minimum temperatures rise above 18°C. The sharp increase in dengue incidence beyond 18°C provides some explanation for the strong seasonality observed in tropical regions like India. The study shows that the risk of dengue increases as temperature rises to a peak of around 32°C, after which the risk declines. This may be explained by the fact that A aegypti, the mosquito that spreads dengue, has maximum transmission efficiency above 32°C and adult mosquitoes gradually die at temperatures above 36°C. The effects of temperature in this study were found to be consistent with biology of the virus. 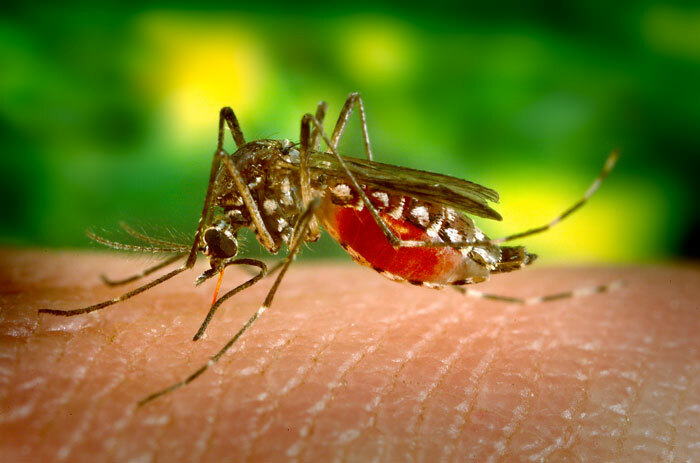 Rising temperatures shorten the incubation period of the virus as well as the time needed for them to develop, resulting in an increased likelihood of dengue transmission. The study conducted in Mexico has also found a link between dengue and rainfall pattern. Maximum cases were reported till the region experienced a precipitation of about 550 mm, beyond which the risk declined. The increase in dengue incidence at low precipitation levels suggests creation of rain-filled (outdoor) breeding sites. The decay observed at high levels of rainfall may be due to wash-out of such breeding sites, conclude the authors. Another study on dengue in Tamil Nadu, however, shows that dengue cases increased in years with excessive rainfall as well as low rainfall. It analysed correlation between rainfall and dengue cases from 2000 to 2008, and showed that temperatures in Tamil Nadu were conducive to vector proliferation year round. Chennai experienced high incidences of dengue during the monsoons of 2001 and 2005 when it received excess rainfall. In 2003, it experienced poor rainfall, yet high incidence of dengue, thus indicating that both excessive rainfall and drought-like-conditions are conducive to surge in dengue incidence. “Low precipitation increases ambient temperature, usage of water and air coolers and improper storage of water that may serve as breeding sites,” explained the authors in the paper.